One of the greatest stories of Social Media Week Lagos comes from those who are disconnected and are seeking to make positive changes in Nigeria. CNN Errol Barnett powerful interview with Leap Africa Founder Nididi O Nwuneli creator of the LEC Leader Ethics Civics for students ages 15 to 16. Nigeria has a population of 170 million with 70% of the population being youth under age 35. Nididi O Nwuneli spoke at mentions the "Other Nigeria" who comprises young people from low incomes. The vast majority who do not have access to social media. It was amazing to hear the confidence with which student Terra Milford spoke about what leadership means to her. "Leadership to me is the act of bringing positive change in my environment. Leadership is innovative. It opens the eyes of others. It gives them knowledge. So we can all move forward." Leader Ethics Civics has taught these students that they have the power to make a difference. The government attended and supported the opening of the health clinic. Other changes that Terra Milford would like to implement are improving electricity, government and infrastructure. She would like to make Nigeria a mega country like the America. 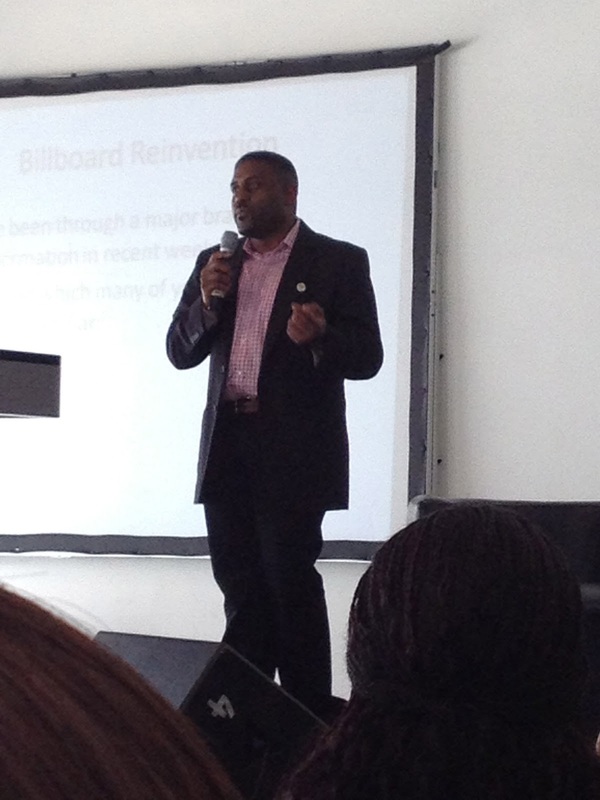 What are your thoughts on Errol Barnett's Inside Africa perspective on social media in Lagos? My takeaway from the Billboard Music Conference, I thought the discussion about monetization of social media twitter and facebook followers was interesting. One person mentioned that Kim Kardashian gets $10,000 for sending one tweet. Nigerian entertainers have not gotten their yet. However, the music artist's number of twitter and facebook followers is important to investors when seeking financing. In that respect social media converts to monetization for music artists. Listen to the livestream discussion on "The Size of the Nigerian Music Market and the Opportunity led by Niki Asika, CEO, Enterprise Creative and ED, Outsource Media. What are your on music artists monetizing their social media followers?